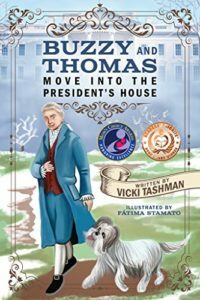 This enjoyable childrens leveled reader for ages 4 – 8 teaches kids about President Jefferson, the new breed of dog he brought home from France and confronting issues about moving. If your child loves books by Robert Dawson like "Ben and Me," then he'll love Buzzy! Historical fiction at it’s best: learning from the pets of famous people in history.